Your Search For Hamilton Real Estate Information and Homes For Sale Begins Here! Timing is everything in today's competitive Hamilton Real Estate marketplace. Paul Wheeler, Sales Representative at Sutton Group Innovative Realty Inc, Brokerage is an experienced and multi Platinum award winning professional Hamilton Realtor who, after more than 25 years of selling Hamilton real estate, knows that many good homes listed for sale are sold before they are even advertised. Paul Wheeler is a Hamilton real estate agent who wants to make your residential house buying and selling experience smooth and simple. His professional yet fun loving approach as a Sutton Group real estate agent in Hamilton will leave you with a positive and satisfying encounter. Whether you are a first time home Buyer or a seasoned Seller searching Houses for Sale in Hamilton Wentworth and looking for "how to" information on Buying and Selling Hamilton homes, contact Paul Wheeler to assist you with your Hamilton real estate requirements or to answer your house buying and selling questions.
" Q uick Links to Hamilton Real Estate Information "
Paul Wheeler's Hamilton Ontario real estate website offers Instant Email Alerts so you receive Hamilton Ontario real estate listings of homes, houses and condos for sale matching your criteria as soon as they hit the market. Just check off your criteria and Hamilton Ontario MLS real estate listings will be emailed to you with absolutely no obligation. Service areas for Greater Hamilton include Hamilton, Ancaster, Dundas, Stoney Creek, Grimsby, Burlington, Flamborough, Waterdown, Caledonia, Beamsville, Dunnville, Cayuga and surrounging areas of Ontario. Find out how much you can afford to pay for your next Hamilton area house!! #1 - 1423 Upper Ottawa St.
Realtor, Paul Wheeler, offers real estate opportunities to help house buyers find their ideal living space. This comprehensive website allows all buyers and sellers to search Sutton Hamilton home. townhouse and condo “for sale” real estate listings in one spot. Property searchers no longer have to spend endless hours walking or driving around looking in Hamilton to locate “For Sale” signs or searching in the newspapers for available real estate. They can now use this Hamilton area houses for sale web site to gain access to the homes for sale in Hamilton Ontario. If you can’t find what you’re looking for, house buyers can set up an automatic search to have new system real estate listings delivered to your inbox. Are you thinking of Listing your House to Sell? Paul will walk you through the process, from Pricing your Home, Listing your House on MLS Hamilton, and Marketing your Property until the "SOLD" sign is on your lawn. Buyers will appreciate Paul's sincere approach to purchasing their dream Home. Start your Hamilton Real Estate adventure by contacting Paul Wheeler from Sutton Group Innovative, Hamilton, Ontario. In addition, if you have any general questions about buying or selling real estate in Ontario, Paul Wheeler is more than willing to help. To have your house for sale featured on www.hamiltonareahousesforsale.com, , contact Paul Wheeler. Not intended to solicit currently listed properties or buyers under contract. Hamilton real estate listings from Hamilton Real Estate Agent. Real estate listings include new homes for sale, resale homes, houses, condos. Planning on buying or selling a home? You're in the right place. hamiltonareahousesforsale.com is your portal to Hamilton area homes for sale and Hamilton real estate listings from Sutton Hamilton. Want your home listed on hamiltonareahousesforsale.com? Contact this Hamilton real estate agent at Sutton Group Innovative Realty Inc., Brokerage. 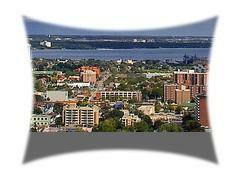 Check back for MLS Hamilton area homes for sale, condos, new homes, and neighborhood information.